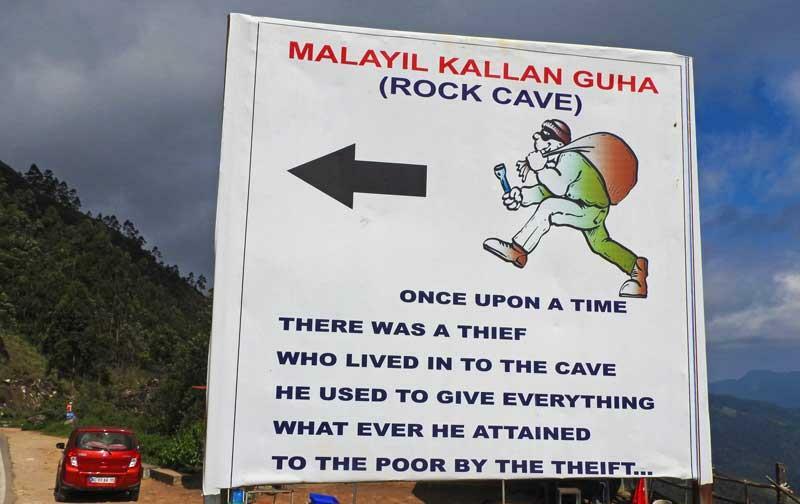 Malayil Kallan Guha is a small cave along the Munnar - Thekkady route. This is a good place to stop the car for a short break, get inside and enjoy the cave. And this is a good place for a cup of tea or some hot snacks. The cave is pretty narrow but is about 15 feet tall and one can easily walk through it. Local authorities have built some concrete steps so that people can easily enter the cave. There is no light inside, so people have to use some flashlight or the mobile phone light to see inside. There is nothing much to see inside the cave other than having the feeling of being inside a cave. The Munnar - Thekkady road is pretty narrow but it is pretty wide in this part of the road, making it easy for vehicles to stop and access the cave. There is a refreshment shop on the opposite side of the cave. They have coffee, tea, tender coconut, juice, snacks, noodles, omelette etc. If you are heading to Thekkady, this is a good place to have a quick break, have a hot tea and get ready for the long and scenic drive to Thekkady. 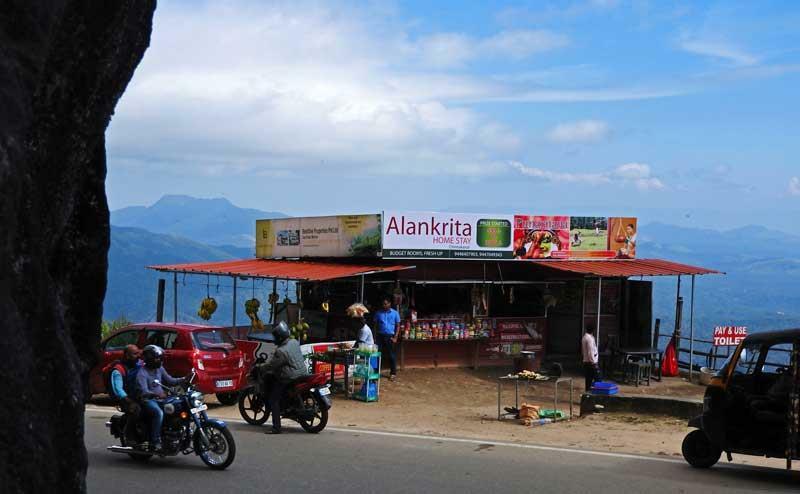 Malayil Kallan Guha is located about 13 km from Munnar town, on the route to Thekkady. 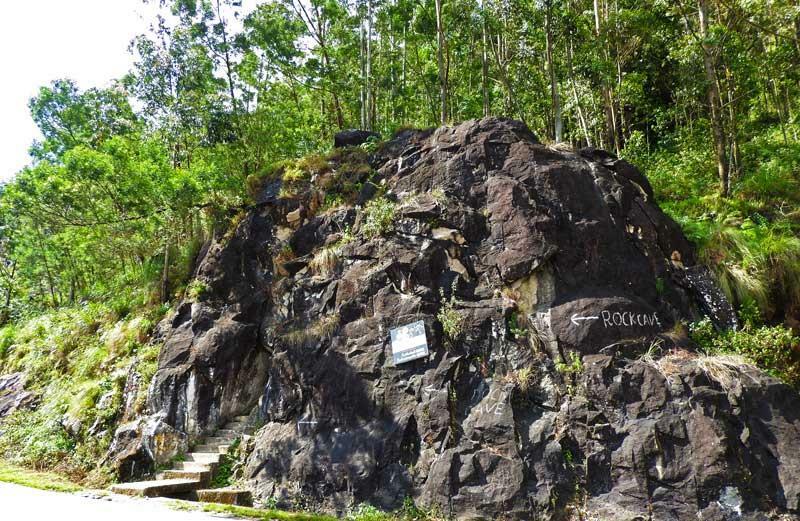 If you are driving from Munnar to Thekkady, you can see this on the left side of the road. There is a coffee shop on the right side with ample parking space there. This is a small area and there is nothing much to do other than entering the cave, spend a few minutes enjoying the feeling of being inside a cave. You can have some hot tea and snacks here. They sell soda, juices, tender coconuts, omelette, noodles etc. There are chairs and benches in the shop for travellers to sit and enjoy their coffee and snacks. This is a very good viewpoint as well. You will get a good view of the hills, mountains and valleys from here. There are no formal timings here. You can visit this tourist spot on any time of the year. Since there is no gate or door, you can access this place any time of the day. During night, there won't be any light and you may face visibility issues unless you have a flashlight with you. 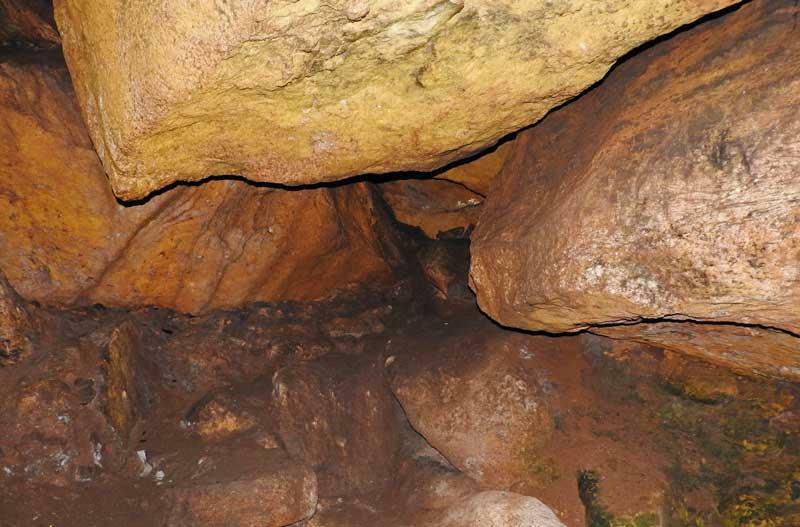 Local people have a historical story to tell about this cave. Once upon a time, a thief used this cave as a hideout place. He used to loot the travellers in this root. Some people add to the story that this thief was a good thief and he used to distribute all the money he collects to the poor people around that area. The stories associated with the cave may or may not be true but the cave appears to be a good place to use as a hideout place, at least in the olden times when the traffic on this route was very low and roads were not so well developed.